When creating an engaging user experience design or UX for your website, it can be difficult to capture every detail. Use our guide to help you! Too often, web admins and e-commerce vendors prioritize ranking in search engines over providing an engaging web experience that keeps users coming back. Edgy Labs brings you the growth hacks for creating highly engaging digital experiences (spoiler alert: Augmented Reality is shaping up to be a must). Websites with well-tailored online experiences will see more page views, increased engagement, and higher conversion rates. A buyer persona is a hypothetical profile of a typical buyer. How did they get to your site? Which device did they use? What are their browsing habits and buying behaviors? Central to being human is having free will, and respecting a person’s right to choose means giving a user plenty of options. However, an effective interface does not overload the user with too many calls to action or too many options. Too much clutter in the form of social media share buttons and banners, for example, will mostly likely confuse the user and cause them to abandon the effort. Instead, an effective interface should focus on creating a positive, stress-free experience for the user by being quick and easy for the user to navigate with clear calls to action. This helps facilitate the user’s access to your product (and eventually, to your desired call to action). Take Apple’s iPad Air page for example. There are simple, easy to use prompts for the highlighted product (the iPad Air), as well as simple, visible links to other products users might be interested in. Put yourself in the user’s place so that what makes your experience as simple as possible is apparent to you. Assume everyone on your site is a beginner. Do you know what that feels like? If not, you should take a step back and remember how important first impressions are. In addition to the ergonomics of the site, invite the user to be explore your content. The easiest way to do this is to ensure that your content is highly relevant to your target user. Rewards are also a great way to make the content relevant, or worth the user’s time. As illustrated by Niantic’s smash hit Pokémon GO, the rewards don’t necessarily have to be monetary or tangible – whether its offering interesting information, a particularly striking image, or an educational mini-game, just plain fun is enough to create a positive association with your product, and make the visit worth the user’s time. Nowadays, website responsiveness can make a big difference. Maintaining that responsiveness across several devices and operating systems is a must if you want to invite and sustain the biggest audience possible. 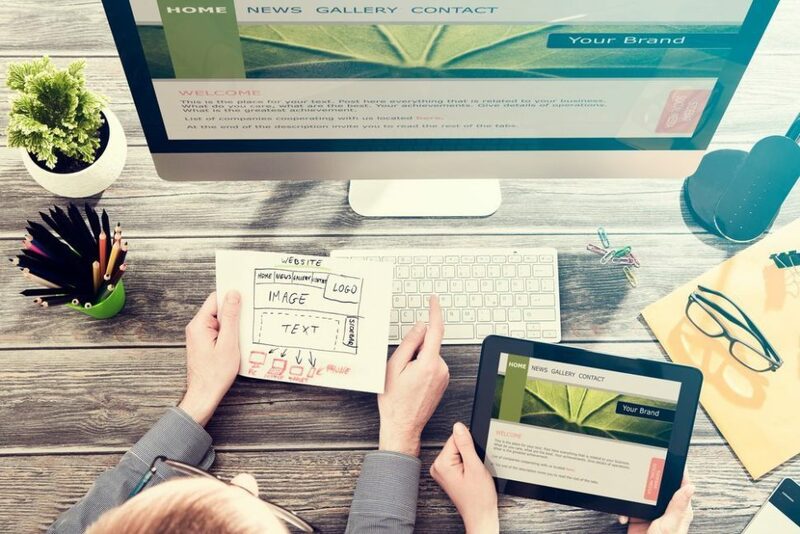 Your web design should be just as relevant on a tablet or smartphone as it is on a desktop. If your site or content is optimized for mobile, don’t fret; you can always rework your website to make it mobile friendly if it wasn’t built that way initially, and Edgy Labs experts are always here to help. It’s not enough to create a UX that you deem effective because you simply don’t have the perspective necessary to evaluate it as an outsider. In fact, because it is your site, you may never have that perspective. What’s the hack for that? Involve test users. Buy some trial traffic if you have to, but make sure you also have users who will give you honest, worthwhile feeback. Genuine feedback will give you unique insight. Without it, you’ll basically be taking a shot in the dark. Without sacrificing simplicity for clutter, your UX needs to be built around rich and diversified content. Don’t just say it with text; Be more engaging by making your content not only highly relevant, but just as dynamic by including plenty of visually captivating elements like images, videos, animations, and infographics. All in all, try to tie your visual content together. Study some color psychology. Try to create a site that is more than the sum of its parts. You are looking for the je ne sais quoi element. To really take your content to the next level by delivering a highly dynamic and organic experience, consider designing a custom Augmented Reality experience tailored directly to your audience. AR might seem complicated, but since the technology leverages smartphone basics like cameras and QR code scanners and is easily integrated into your existing apps, delivering exclusive and naturally interesting content is just a plug-in away. For example, the Denver Broncos were able to drive downloads of their proprietary app and social amplification by designing an simple AR experience. While you might have a specific user or demographic in mind, recognizing that each user within your target audience has individual preferences and unique needs is crucial. Augmented Reality can also help customize your UX to put the user at the center of the experience. This is why exclusive content or offers are a great way to deliver added value to your users over competitors. Give them the familiar, but surprise them with things that were designed with them specifically in mind. Bud Light was able to deliver added value to their fans while driving purchases with their “Scan the Can” AR campaign. Every Bud Light can purchased came with a QR code that could be scanned using your smartphone to unlock special offers and AR-enhanced sports highlights. You’ve probably got some quirk, too, so use it. You’d be surprised how many people will pick up on your individuality and have it affect them in a positive way. Give them the opportunity to customize their experience within your website. Simple tweaks such as HUD colors and custom avatars, and, depending on your activity, customizable products not only offers unbeatable exclusivity your user can’t find anywhere else, but also ensures your content is highly relevant. Echoing the importance of choice, entice users to leave their insights and feedback about your product or service. Ask them while they are still on the website instead of when they are leaving. Aside from encouraging engagement, asking the user to voice their opinion lets them know that your brand values what the customer thinks and that ultimately, you are working for them. You want your UX to be positive so that the user positively associates your brand with a worthwhile experience. A simple survey can work wonders, but again, it’s usually best to reward the user for their engagement. Perhaps a small discount is in order for taking the survey? To maximize the engagement and interaction of users with your UX, provide users with options to easily share your content via your funnel or other platforms. But, just having clear calls to action isn’t enough; your first priority should be creating an experience that is relevant (read “useful”) to your user. If the content is highly relevant to them, the user will be more likely to share it with others who might also find your content useful, interesting and worth their time. If you are running a blog, use CoSchedule’s social media campaign function. Go for getting users to enroll in notifications. One of the biggest considerations of Ux today is the expectation of the user. That expectation is established by their use of the many other apps and sites they visit and leverage as consumers and as business users. In the old days, business users simply accepted clumsy, cumbersome user experiences, and consumers lived with the decisions made by developers who didn’t understand their needs. At Elegant MicroWeb, we find that our clients, their customers and their business users are much more sophisticated and demanding today. They expect apps and sites that will comply with any type of device, perform quickly and give them the information they need in a format and manner that is meaningful to them.